Will soon have a successor taking to the seas more than 100 years after its predecessor. What is the Titanic 2 and when will it set sail? Titanic 2 will take to the seas over a century after the original Titanic ship, set to pick up where the former left off. The successor to the tragic first ship, which set sail in 1912, will be a full-scale replica. Construction of the ship was previously halted in 2015 due to financial setbacks, derailing the original 2016 finishing target. Aims for the ship are for it to be as close to the original as possible, and the news has been ill-received by some. What is the Titanic 2? 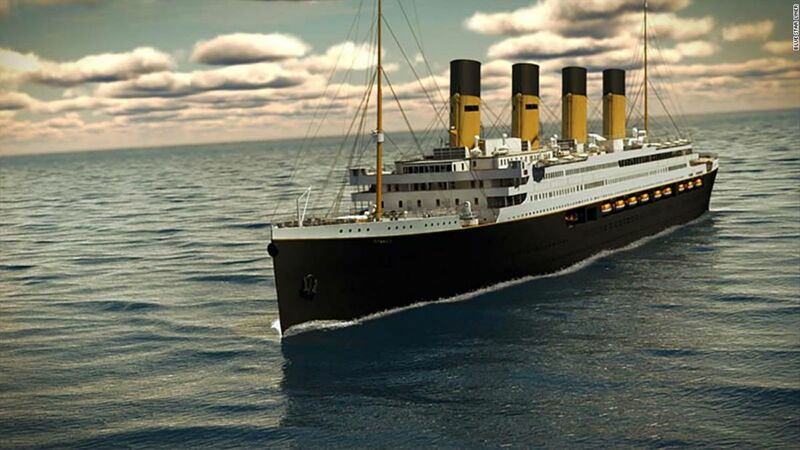 The Titanic 2 is set to be a full-scale replica of the original ship which met its end after clashing with an iceberg in the Atlantic. Cabin layouts and a near-identical number of passengers will deliver the same aesthetic as the original. Among these modern day twists to the original design will modern safety and navigation technology. Already, makers are anticipating a long life for the ship, with a selection of planned destinations for the liner. The ship will make the same trip as its predecessor, but it won’t be the maiden voyage. Before making the identical Southampton to New York trip, the Titanic 2 will take two weeks to journey from Dubai to Southampton. When will Titanic 2 set sail? Titanic 2 is expected to set off by 2022, for its Southampton voyage first. After this, the Titanic will journey from Southampton to New York, with exact dates yet to be clarified. The entire ship is expected to reach a cost total of £384 million ($500 million) to create, and tickets are yet to be announced. Clive Palmer, the Blue Star Line’s chairman, spoke to MSN about the ship’s upcoming route. In total, there will be 2,400 passengers and 900 crew aboard the ship, but constructors Blue Star Line assure there will be adequate lifeboats for everyone. To put people’s minds at ease, the ship will come with a host of modern-day additions to avoid a similar disaster to the 1912 voyage. The recent news has led many to voice their concerns about the voyage, considering the disaster of the last one. Sceptics have taken to Twitter to voice their concerns about the voyage, warning of the peril of following the Titanic’s original path.